Trade secrets can be any number of things. If information is something a competitor would value, it might be a trade secret. A trade secret gives the owner a competitive advantage. Coca Cola’s formula is obviously a trade secret, but so are many other things: business or manufacturing methods, processes and plans; customer lists and contact information; formulas; product designs; financial information; recipes; databases; and data compilations. Trade secrets provide a competitive advantage over competitors – and employers have to establish safeguards to prevent the public or competitors from learning about it. Patented information, however, is public record and no longer a trade secret. If you’re an employee, contractor or vendor with access to trade secrets, the law requires you to protect those secrets. You can’t disclose them outside the company in any way. You can’t blog or tweet about them. You can’t give them to a friend or pass them along to a new employer. You should also refrain from forwarding information from your work computer to your personal computer or another electronic device, or copying documents and files. In many cases, only certain employees have access to trade secrets – so be careful talking about them even with others in your company. Employees have a “fiduciary duty” to their employer. 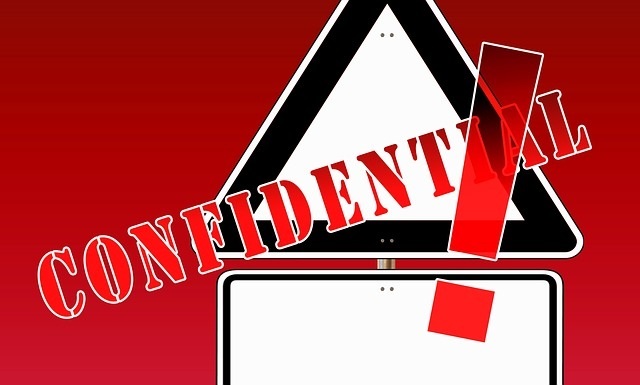 Even if your employer hasn’t explicitly warned that a particular piece of information is confidential – if it’s clearly a trade secret and you disclose it, your employer could sue. In California, in fact, it is a crime to acquire, disclose or use trade secrets without authorization. Violators may be fined up to $5,000, sentenced to up to one year in jail, or both. 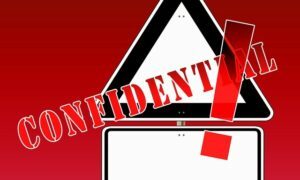 Still, employers are well-advised to be diligent about identifying trade secrets and letting employees know what is considered confidential. If an employer winds up in court seeking Trade Secret protection, he or she has to prove the company took adequate measures to protect the information – and did so consistently. It’s only a secret if the employer clearly treats it as a secret. Have employees sign confidentiality agreements. Educate employees on your trade secrets policy. The employee handbook should include the policy, what the company considers trade secrets, and consequences if misused or stolen. Have employees sign a statement staying they’ve received the handbook. Limit access to trade secrets. Lock up or encrypt confidential information. Employers can also track and keep records of employees’ electronic footprints. Trade secret protection continues indefinitely – as long as the secret is not revealed to the public. However, it is legal to reverse engineer a product in order to copy it. What’s not a trade secret? When is a trade secret not a trade secret? A company’s client list, pricing or manuals are not trade secrets if the company brags about them on the company website. The client list isn’t a trade secret if it’s obtained through purchased lists, Chamber of Commerce directories or Google searches. The information has to be something that took time and expense to compile, and that a competitor couldn’t figure out on its own. Having access to a trade secret doesn’t necessarily mean you can’t work for a competitor. In California, non-compete agreements cannot be enforced. The courts will protect your right to earn a living using your skills and knowledge – as long as you continue to protect your former employer’s secrets. If you signed a confidentiality agreement – or had access to something that might be a trade secret – you may want to consult a lawyer about rights and responsibilities before accepting a job with a competitor. Why Did CBS Take 6 Weeks to Oust Moonves? Should You Insure Against Sexual Harassment Claims?